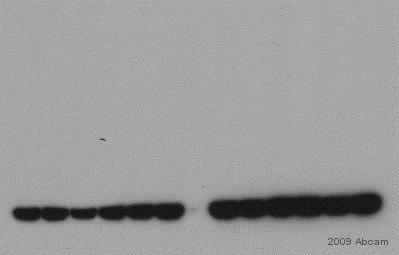 Will this antibody react with the mutant GFP-cycle3 (from Invitrogen, TopoGlo plasmid) ? Will this antibody detect in the picomol-nanomol range in ELISA? Ab291 should be detecting nanomolar amounts of antigen, and very likely picomolar as well in ELISA. 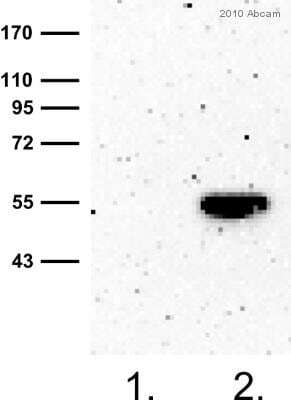 In Western blotting it readily detects 5ng GFP (0.2 picomoles) in a film exposure of only a few seconds. Is this anti-GFP antibody or any other anti-GFP antibodies raised by using adjuvant which does not contain Mycobacterial components? As you know, common adjuvant such as Freund's complete adjuvant contains mycobacterial cell extracts. I worry this because I want to detect GFP expressed in mycobacteria, and it is essential to use antibodies with no cross reactivity to mycobacterial components. 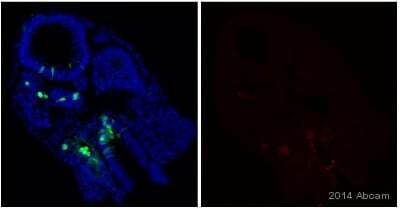 We have been unable to find any information on whether the estrogen receptor is expressed in brain - this antibody was primarily produced for the diagnosis of breast tumours. 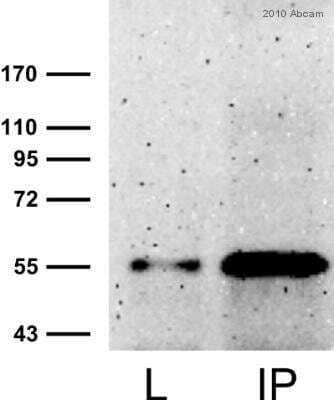 Secondly, although this antibody can be used in frozen (cryostat) sections, we do not know whether it recognises the antigen in species other than human. 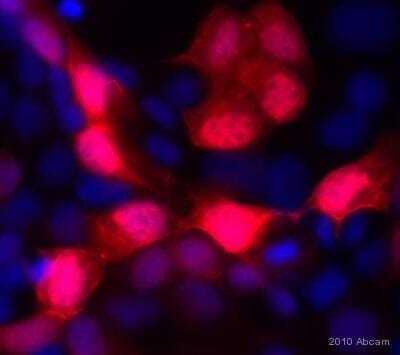 Nevertheless, the PAP staining method should be fine.